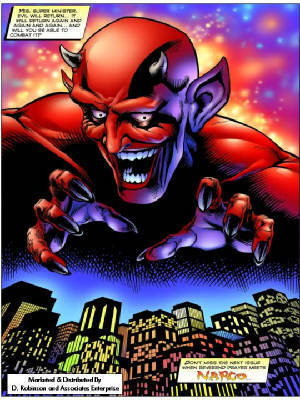 Take a Minute To Learn About The Reverend Prayer Comic Book, From Mrs. Pat Tuggle Host Of The Pat Tuggle Television Shows, And Editor And Publisher Of Valor & Virtue Magazine. This is the Premier Collectors Edition of the Reverend Prayer Series. Reverend Prayer’s creator and author, Tom Floyd, is a strong believer in the Word of God. This is his attempt to make praying a “cool” thing for our youth again. In today’s complicated and peer driven society, our children sometimes find themselves very much alone in a world where they believe no one understands them. Reverend Prayer shows us that Prayer is stronger than ever and that all of us must always seek guidance from God because evil is sometimes quite hard to detect…until it is too late. 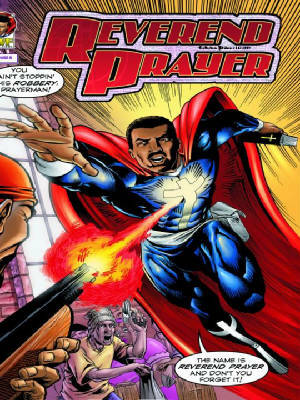 Travel with us and Reverend Prayer as he fights the battle against evil! "I Can Do All Things Through God, Who Strengthens Me!" CALL 248.979.1107 to get information on Fund Raising packages for your Church or Community Group.